LED backlight indication of active microphones. Has a convenient and flexible configurable software. Has a Mute button to disable the main output. 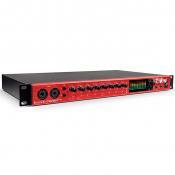 An ADAT optical digital connector provides up to eight additional digital inputs that can be used with external mic preamps like the Focusrite's OctoPre Mk II (sold separately). Is comparatively bulky for a portable device. 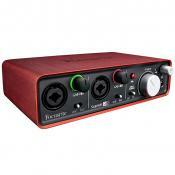 It is a professional model for studio-grade computer audio recording. The interface is capable of capturing the sound from up to 4 microphones at a time, which opens new possibilities for music bands. The product line offers options with different functionality. Is equipped with a low noise power supply that supports a wide range of input voltage and provides high sound quality and stable device operation. The Auto-Sens feature allows an auto-tuning of the input gain. The VS Streaming technology provides interface driver stability. No volume regulator for the headphone out. Features a high-performance built-in 40-bit DSP (digital signal processor) offering a wide range of sound processing capabilities. The circuitry of this external sound interface ensures a clear, noise and interference-free sound recording even at low volumes. A perfect device for producing professional-grade records in a small studio. Operates with a very low latency of 2.74 ms, which enables using peripheral devices and your musical instruments in real time. 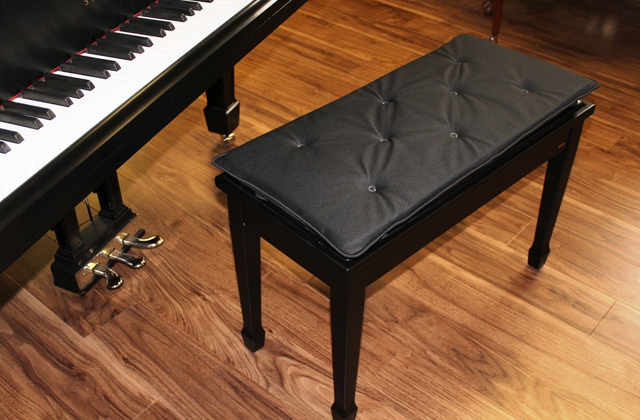 Comes with the Ableton Live software for musicians. The bundled cable for connecting the device to a PC is short. Easy configuration and control will make it possible to comfortably use the device even for a beginner. With the feature-rich bundled software, you can start creating your own samples or use those available in the included sample database. 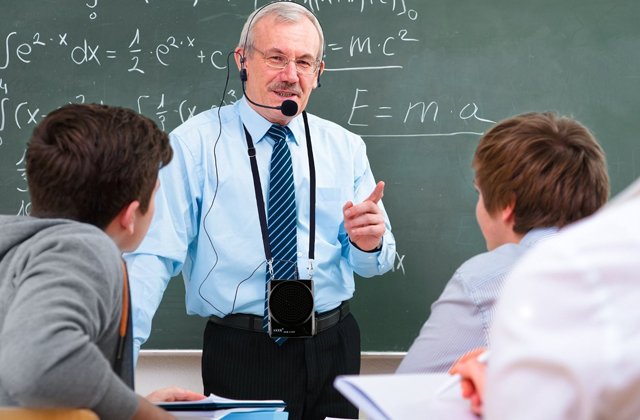 Offers the Class Compliant special mode for pairing with iPad devices. This mode allows using this audio equipment with music applications on iOS, for example, with Steinberg Cubasis. Lacks a digital signal processing chip. 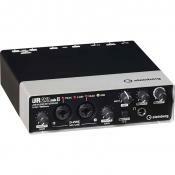 This model makes a pro audio recording interface for a personal use even more affordable. The UR12 retains most of the advantages of top-of-the-line models and even offers its own unique features. The product line includes advanced models too. 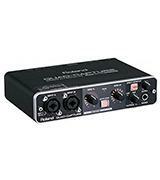 Uses the built-in XENYX microphone preamplifier, which has a proprietary design and provides a phantom power for connected mics. Has a LED indication of input signal clipping. The convenient control knobs are placed on the top panel of the device. Has a slight output hiss when used at maximum volume. This is one of the best budget audio interfaces available offering a decent set of features and a clean sound recording with a minimum latency. Owing to its small size it has an excellent portability so you can carry it around and install almost anywhere. 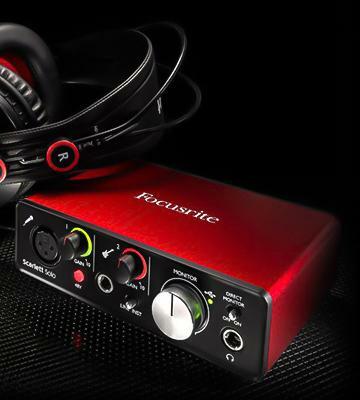 Focusrite company is very closely involved in the development of audio interfaces with the Focusrite Scarlett 18i8 external USB model being one of its products. 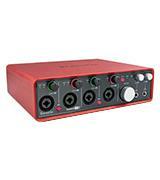 This Focusrite audio interface itself is more targeted at professional users than amateurs or enthusiasts. The capabilities it offers are quite extensive and allow you to capture the sound from up to 4 microphones connected via XLR inputs. 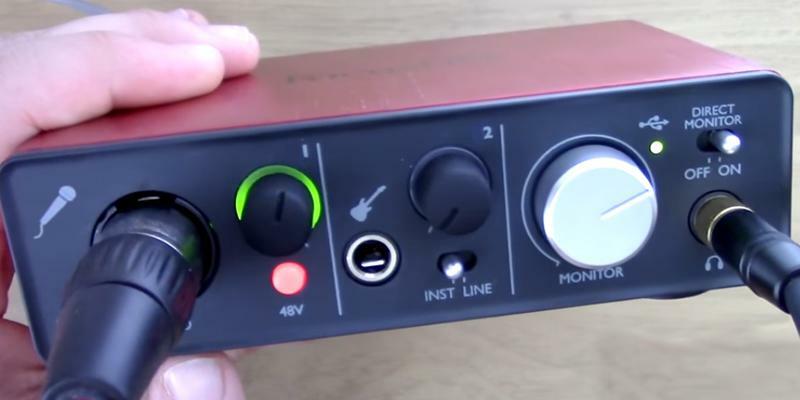 It is important to note that you can connect exactly four mics to this audio interface with a USB input as it is the number of members in most bands. With this audio device, you can create your own music tracks where and when it is convenient for you. Indeed, just install this computer audio recording hardware and feed an electric power to it from the adapter, and you are ready to produce tracks with a studio-grade quality, which, what is important, will not require much effort. 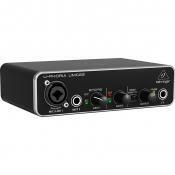 For more convenience, each microphone input of this audio interface for PC and Mac has its own preamp and volume control knob with an LED-backlit rim. When an input signal from a connected mic has a normal amplitude or volume level the backlight is green, and when the signal level is too high to prevent clipping, the backlight color turns red. This feature makes it possible to set manually the right input volume in a timely manner and thus reduce the number of outtakes. 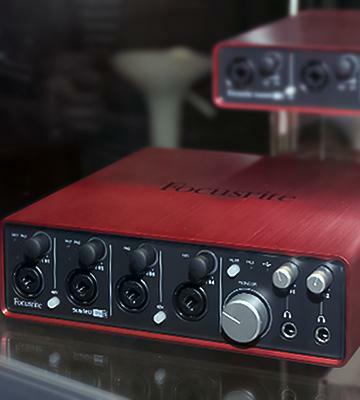 In addition to digital outs, this audio interface by Focusrite has two headphone outputs to provide a simultaneous recording and listening/monitoring experience for your performance of a musical composition. As an option, you can use the Scarlett 18i8 headphone outs to simply enjoy a high-quality playback of your music files on your headphones stored on your PC or laptop. 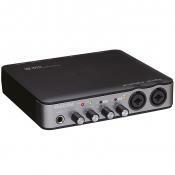 As for the digital inputs, this sturdy audio interface with a metal case offers an optical input with support of a digital optical interface widely used in audio/video devices. You can use this Scarlett optical in to enjoy high-quality sound reproduction from your digital source device via an optical cable that is totally resistant to electromagnetic interference. This type of digital interface can often be seen in flat screen TVs, Blu-ray players. To use the Scarlett 18i8 hardware with maximum efficiency and convenience, the manufacturer included the software, which offers advanced features for both recording control and music samples creation. There is even a bundled pack of ready-to-use samples - Loopmasters Sample Pack. The internal design of this one of the top audio interfaces makes it possible for you to work with intuitive and easy to use presets in one click ensuring a delay of less than 1.4 milliseconds. These presets are sets of software settings that you can use when recording musical instruments or vocal sections. The Scarlett 18i8 is by right one of the best options for recording tracks by a whole band with maximum simplicity and high quality. Sound equipment, as a rule, requires many electrical connections and a lot of power. As you may know, audio equipment is not cheap, thus it is best to power the equipment not directly from power sockets but from special network concentrators that are capable of switching off the power in case of a power surge or drop. 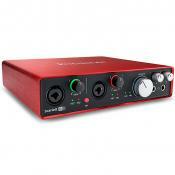 Right out of the box the Focusrite 18i8 is build very well and the cool red color is great. Insulation of the unit and drivers was a breeze. The input XLR’s are professional as well as the ¼ jacks in the back of the unit. Pre-amps are professional and having two headphone outputs is a great feature. Roland is a Japanese brand known all over the world for its high-quality audio products and great expertise in the field of audio engineering equipment design and manufacture. 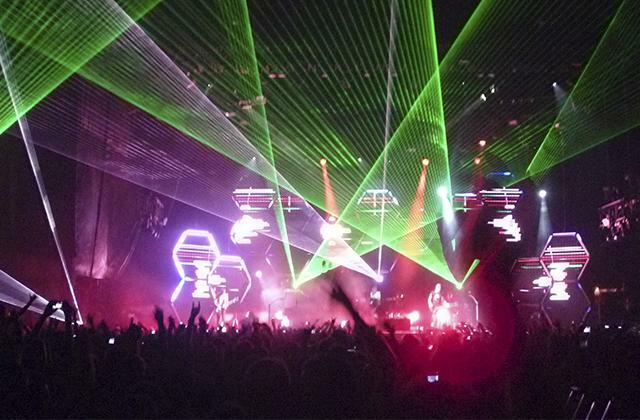 Many professional musicians use Roland products to create their own tracks that are played in every corner of the Earth. Do you want to feel yourself an audio recording professional? It is easily achievable with the capabilities that the Roland Quad Capture offers. 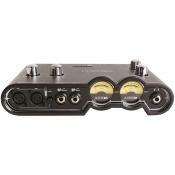 This is a new model of an audio interface for guitar or vocal recording with four inputs, as the name states. However, you can use only two analog channels to capture or playback the sound simultaneously at the sampling rate of up to 96 kHz, as the other two input/output channels are digital ones with 192 kHz maximum sampling rate support. 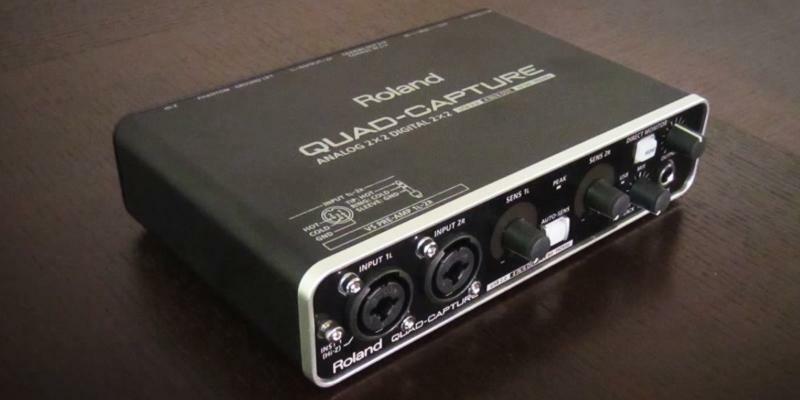 The Quad Capture was designed for home or small studio use thus it is very compact and portable. 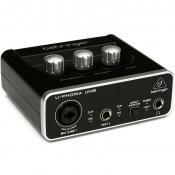 To ensure the best audio interface portability, the device uses the USB 2.0 interface to draw power from. 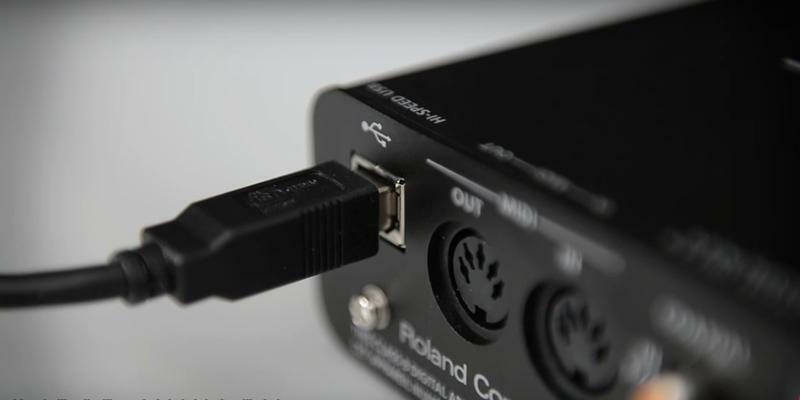 Due to its smart design, this portable audio interface by Roland consumes as little as about 480 mA of current provided by the USB 2.0, which it efficiently uses to fully supply the built-in VS Preamps proprietary-design preamplifiers. 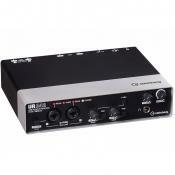 These preamplifiers are used not only for analog input signal amplification but also for providing the phantom power in case of connecting microphones to the interface. Another interesting power-related feature is the Ground lift switch, which activation can reduce or eliminate 60Hz hum caused by ground loops emerging in a connected device-audio interface chain. 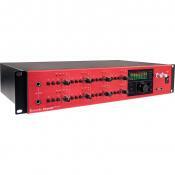 The preamps are equipped with digital controls, which use gives at least two advantages. The first is that the preamp regulators are more durable and do not cause any hiss or mechanical noise when turned. The second, the digital control use enabled the manufacturer to implement the proprietary Auto-Sens technology, which allows the interface to automatically select an optimal amplification level for analog signals recording. 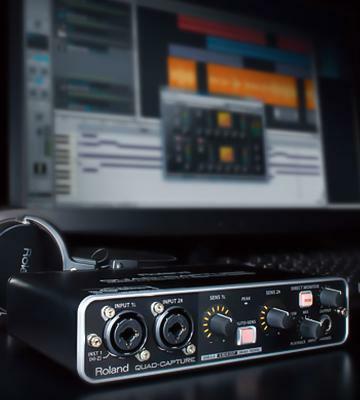 With the Roland Quad Capture portable audio interface you get not only rich connectivity allowing you to plug in devices ranging from condenser microphones, headphones to guitars, electric bass and some guitar pedals, but also a convenient use. The input gain control knobs of this USB ADC device are equipped with LED backlight, which is convenient to use in a poor lighting environment. 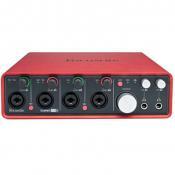 The Quad audio recording interface comes in a compact metal body, which makes placing it near your computer or laptop at your desk an easy task. In addition, the small size makes the device highly portable and allows carrying it easily in a bag. Another convenient feature that the Quad Capture has to offer is the low-noise power adapter with a wide range of input voltages, which can cope with the problem of unstable current and provide a robust power to compensate for potential USB power deviations. 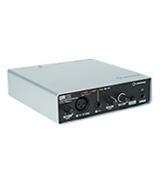 Thus, Roland has your device protected from power surges and drops to ensure a pro audio recording experience. If you want to save some money when purchasing a microphone for your audio recording gear, you may consider an option of a comprehensive microphone solution with two outputs. 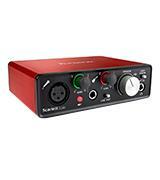 Using the digital out of this mic you can plug it into any audio interface with USB input or your PC/laptop. The other option is to connect the microphone to your external ADC, including the Roland Quad Capture, or analog signal processing device using the XLR interface. The XLR connection opens more opportunities as to using various sound processing features prior to signal digitalization and allows using a wide range of devices from portable computer audio set ups to multipurpose professional solutions. 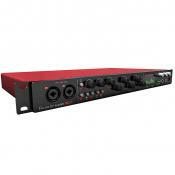 Alongside a wide range of professional audio solutions Focusrite company also manufactures home studio audio interfaces. 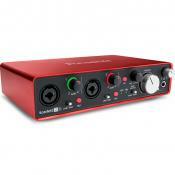 The Focusrite Scarlett Solo, as the name suggests, is targeted at solo musicians and enthusiasts. Despite the fact that the number of analog inputs on the interface was cut down to two, the Solo provides a connectivity adequate to single user demands. 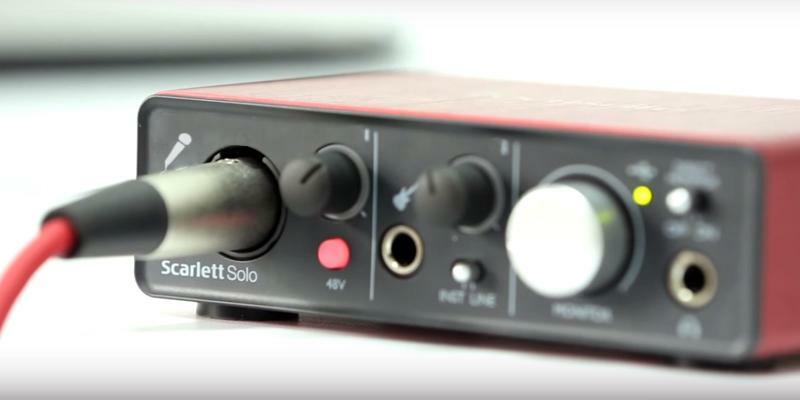 Look for yourselves, the Scarlett Solo has a microphone input with preamp and phantom power for recording your vocal sessions. In addition, this model offers a redesigned and improved instrument input for trouble-free and quick connecting your guitar. 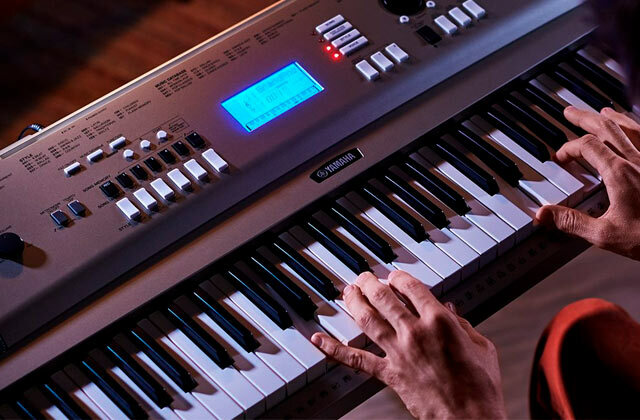 No matter what music you play, be it bluesy tunes, groovy rock or harsh metal staccato or tremolo, the instrument input ensures a high-quality sound capturing and preserving all the nuances of your performance. In terms of sound digitalization quality and convenience, the Solo ADC module retains all the features you can find in top-tier modules. 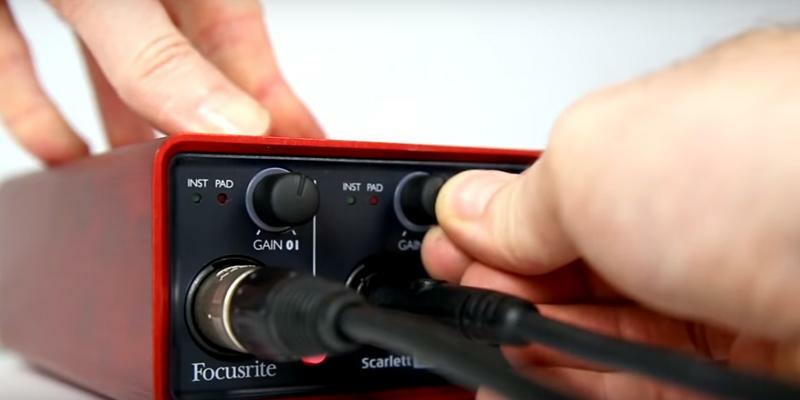 Indeed, this compact model provides separate gain control knobs for each input with three-color backlit rims analogous to those used in the Focusrite Scarlett 18i8. This simple indication makes it possible to prevent sound clipping caused by an excessive level of the input signal: you only need to start lowering the gain if you see the knob trim lit red until you get in the green zone again. You can monitor your performance when playing using either a headphone out or a line out on the back panel. The pair of RCA sockets, one for each channel, on the device back allows you to use the Solo as a through-point and output analog signal to external amp and speakers parallel to input signal digitalization. As this USB port- recording system was redesigned both internally and externally it became even more compact and portable, which adds to the convenience of its use. Though it's not a Thunderbolt audio interface, the Solo can be used with Mac Pro personal computers. When used with the Logic Pro X audio software running on OS 10.11 and set to 96 kHz sampling frequency with 32 samples buffer, this device demonstrates a super-low round trip latency of the signal measured at 2.74ms. With that, the maximum sampling frequency of analog-to-digital conversion supported by the device is 192 kHz and you can expect a minuscule round-trip signal latency even at maximum quality settings. What is important for a musician is that using this pro tool audio interface does not require composing your own samples as it is shipped with a disk with bundled sound engineering software and a 2 GB-set of various samples ready to be used out of the box. For example, with the Ableton Live suite, you get an access to an easy to use set of tools, which you can manage and mix in real time. These possibilities create a small but full-fledged recording studio at your home, all thanks to the Focusrite Scarlett Solo audio gear. 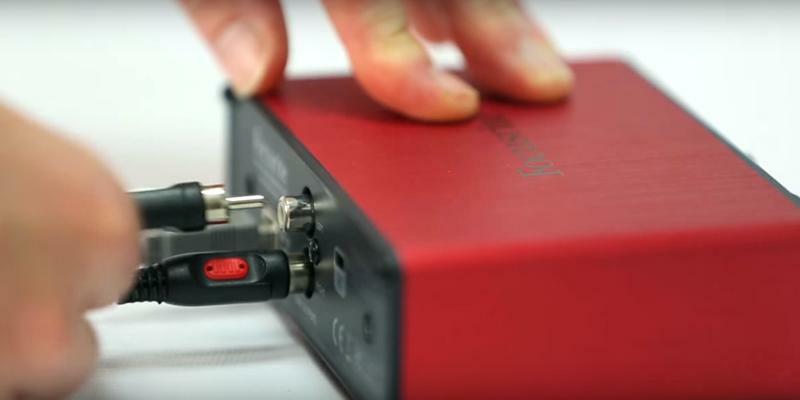 You can use the headphone output of the Scarlett Solo to connect headphones with different types of unbalanced audio cables. However, the headphone cables need to be terminated with 6.3 mm audio cable connectors to plug into the device, otherwise, you'll need to use a 3.5 to 6.3 mm adapter. We recommend using revealing headphones with a neutral sound signature for the best studio experience. Indeed, when doing your recording and mixing you need to hear all the details and nuances of the sound to be able to tune it in accordance with your intention and creative vision. After all, you have to trust your ears and not just spectrograms, plots or numbers when producing a record as it is intended for bringing pleasure and positive emotions. The built in preamps are great! If you know how to mix, automate, use your plug-ins and have a tight recording, it's totally possible to make a recording that sounds completely professionally produced. The installation was a snap & it's powered thru the USB connection, so there is one less cable to manage/trip over. This does exactly what it's supposed to do. 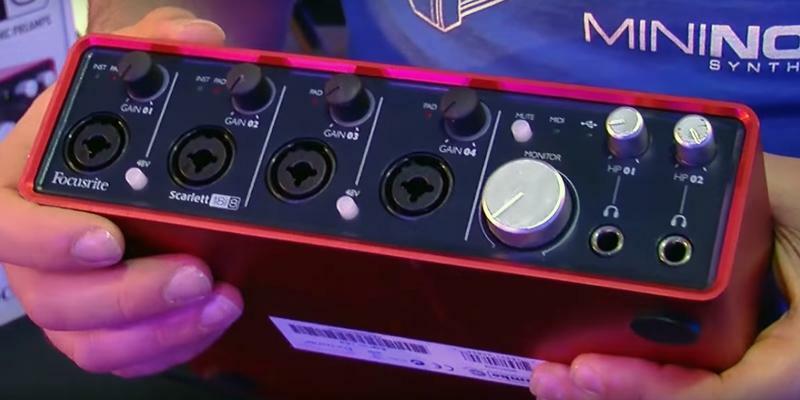 I use it with Windows 10, Sonar Professional, and NI Komplete - works great, sounds great, and, yes, it is red! The size is also great for portability. It is not often that you see two powerful music industry players, which join forces in creating some product. Luckily for us, there are exceptions to the rule and one of which is embodied in the Steinberg UR12 external sound module. Steinberg and Yamaha companies in cooperation have released their collaborative product for capturing clear and high-quality sound from microphones and musical instruments. This 2nd generation USB audio device has a rather practical and refined design and is assembled in a metal case that provides a reliable protection for its internals. All the inputs of the device are conveniently arranged on its front panel and are quickly accessible. Each of the two inputs is accompanied with a dedicated gain control regulator and a LED peak level indicator. 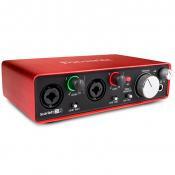 The mic input is equipped with a proprietary D-PRE preamplifier that you can switch on or off. 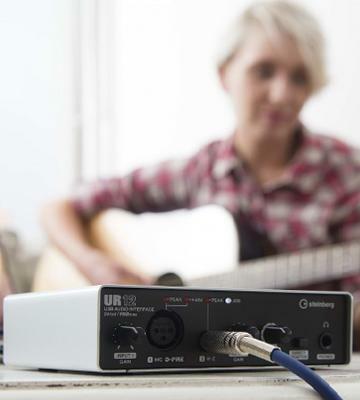 Connecting a microphone often requires supplying an additional or "phantom" power to it, which is easily achievable with a special switch located on the UR12 back. 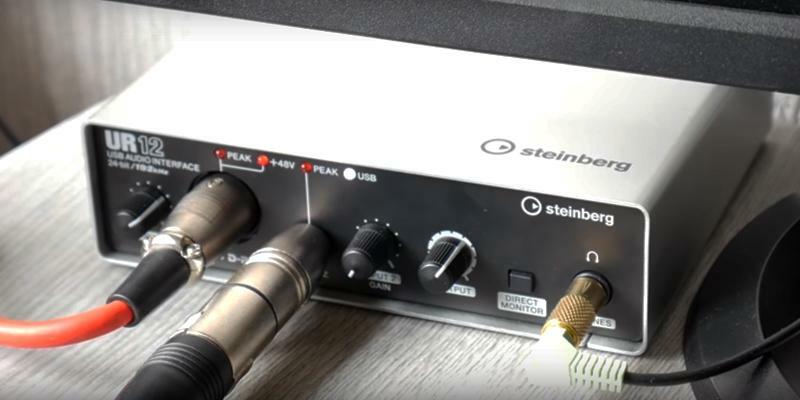 While plugging headphones in this Steinberg model for monitoring your record process will not be a problem, you need to keep in mind that the interface has a 6.3 mm headphone input socket. However, it will hardly be a problem as almost all modern headphone models are either equipped with a 6.3 mm jack or come with adapters. 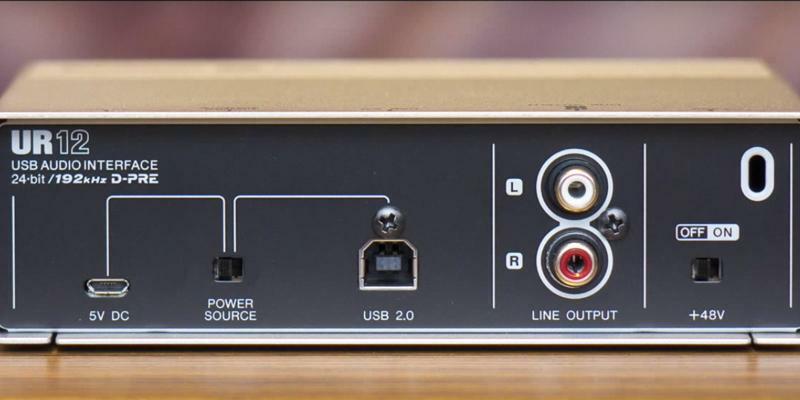 Moreover, you can enable the Direct Monitor mode with a push-button on the front panel: when on, this function sends the audio signal from your computer and the audio signal input from the MIC/HI-Z sockets are output directly to PHONES/LINE OUTPUT sockets. Two RCA outputs on the Steinberg UR12 back allow outputting analog sound to an external system amp or speakers in case they have a built-in amplifier. 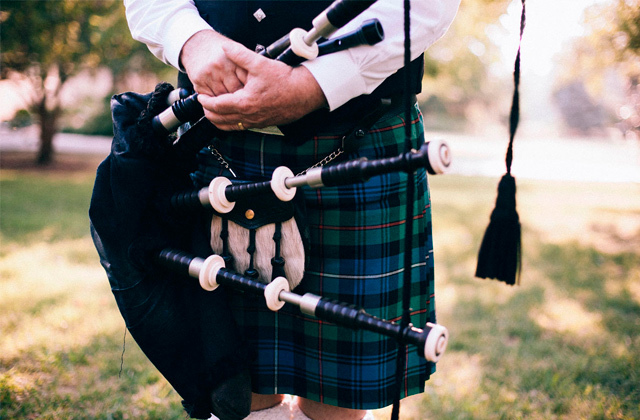 Compatibility with external devices is a priority when designing any sound device. In case of this pro audio recording device by Steinberg and Yamaha, the developers have provided for the ability to pair it with any USB-enabled host device, including the iPad line devices by Apple (with Apple iPad Camera Connection Kit / Lightening to USB Camera Adapter). 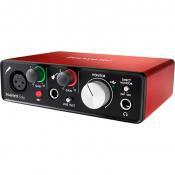 A convenient feature of this sound capture interface is its ability to draw power for its operation either from a connected device via the USB bus or via the micro USB dedicated port. Thus, in case of unstable power from the host device, you can switch to micro USB power and use a USB specification-compliant power adapter. 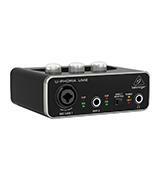 Being a cutting-edge device the UR12 offers the Loopback feature. The Internet broadcasting-oriented feature enables mixing the input audio signals (microphone and guitar, for example) with the audio signals that you playback in your DAW software on your PC or Mac into two channels and sending them back to the PC. Of course, this Steinberg interface is compatible both with Mac OS X and with Windows-based systems and comes with a free downloadable Cubase AI DAW software suite. Cables remain one of the key components for transferring data between various devices, especially when it comes to transferring a high-quality analog audio signal to and from an audio interface. 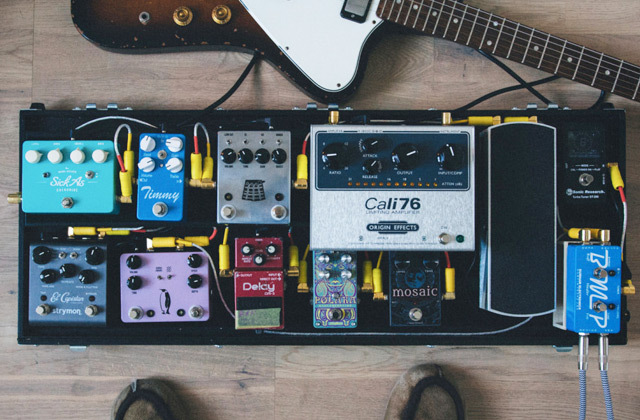 That is why it is important to choose high-quality cables for connecting musical instruments and microphones to your audio gear. With that, it is advisable to choose braided cables with an elastic but firm isolation, which provides good insulation and shielding, prevents analog signal degradation and interference. This actually applies both to input connection cables and those you use to output the sound to your amp and speakers. As practice shows, the better the cable the better the resulting record and sound on an external system. 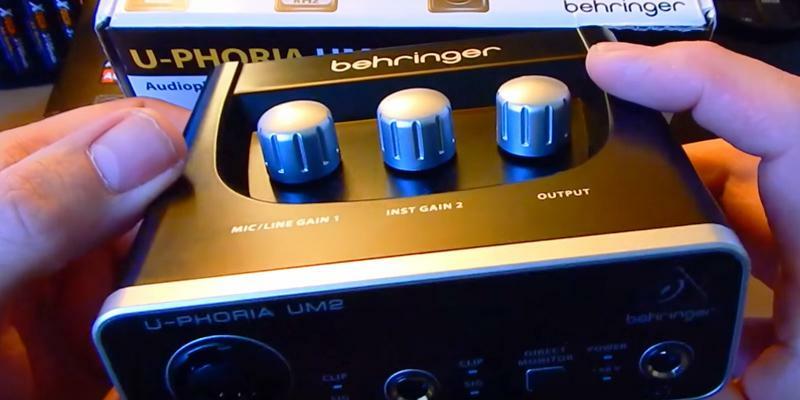 Behringer company created a series of new audio interfaces called U-PHORIA consisting of four models, one of which we picked for our review. The UM2 is an entry-level model of the family designed for a personal use as its capabilities are limited to two analog inputs. These inputs are microphone input and music instrument input. 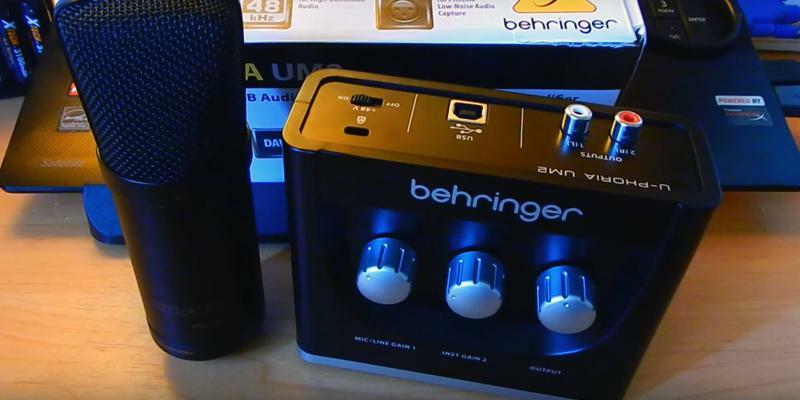 Taking a look at this Behringer audio interface you will most probably get a concept of a highly practical design with no excessive elements. With all its pragmatism the UM2 differs from other similar devices, due to the fact that the gain control knobs are installed on the interface top, which is somewhat unusual. However, this control knobs arrangement proved to be quite convenient. The gain knobs are spaced so that you do not touch the adjacent knobs when rotating one of them. The matte case of this U-PHORIA low-tier model is not easily soiled and is resistant to stains and fingerprints. With its deep black finish, the UM2 will easily fit into any studio or room while its small size allows saving space on your desktop or shelf. It is very convenient, as you need to place the interface near your PC or a laptop to pair it with the device for data exchange and power supply via the USB interface. 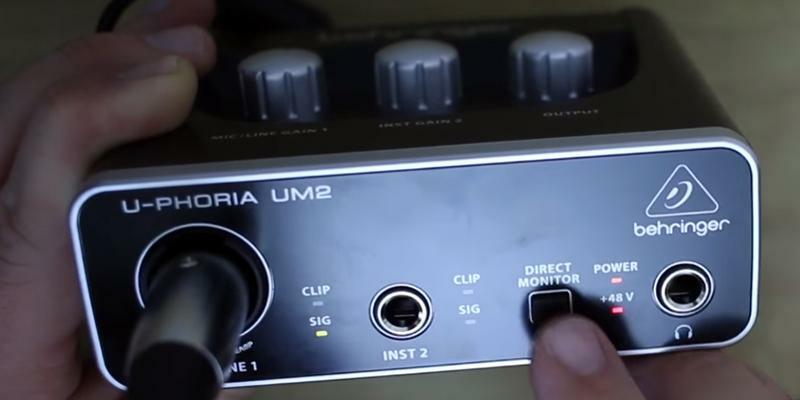 If to draw an audio interfaces comparison between different U-PHORIA models, the UM2 has a XENYX preamplifier on the board and the other models are equipped with MIDAS preamplifiers. 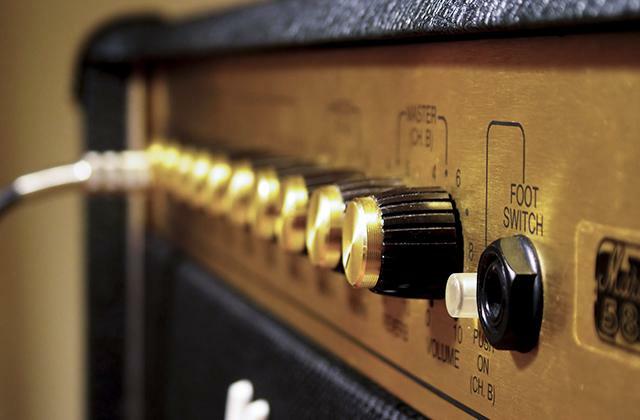 Another feature specific to this model is its top arrangement of gain knobs. Being a full-fledged audio recording interface, this model provides an ability to turn a microphone phantom power on and off. To get the right audio record you can use a wide variety of software that ensures a quick and comfortable recording and mastering allowing you to experience your adjustments and effects applied in real time. 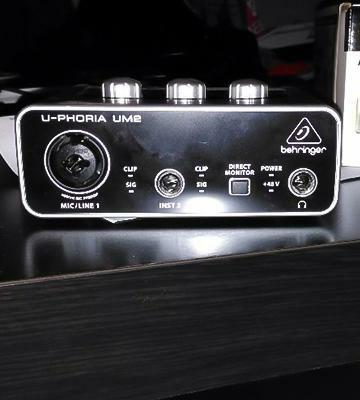 As a modern audio recording hardware, the Behringer U-PHORIA UM2 is able to work not only with different operating systems, such as Mac OS and Windows but also with various audio software, such as Avid Pro Tools, Ableton Live, Steinberg Cubase, etc. This flexibility greatly simplifies the use of the device and expands its application boundaries. However, for using the UM2 with Windows-based systems you need to visit the manufacturer's website and download the official drivers, as they are not included in the supply package. 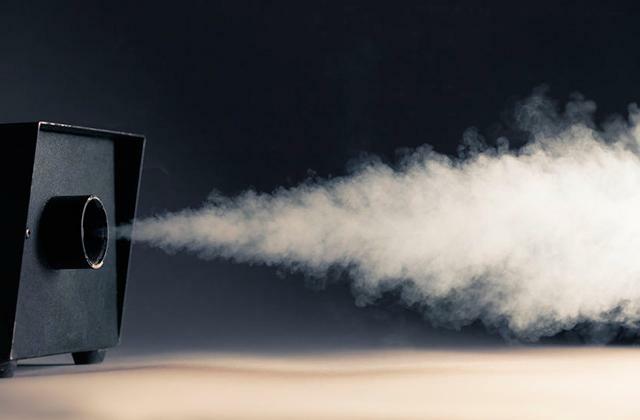 If you want to get a rich sound from your acoustic system, it needs to include a powerful subwoofer. Though the mids and highs are important too, the lack of bass or its poor reproduction is often more apparent. A subwoofer makes any high-quality record sound richer and more visceral ensuring a quality playback of a low-frequency part of a track. It is advisable to pair your subwoofer with broadband speakers to enjoy clear and full-range music record reproduction. 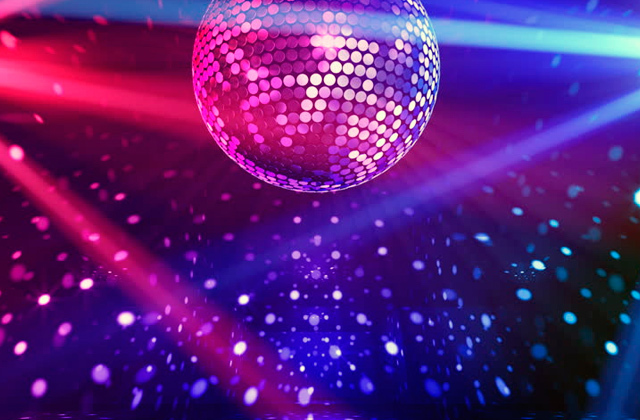 However, you should remember that all the other components of your sound system need to be of decent quality and be well matched to achieve the best sound reproduction. I was amazed at the sound quality with just an inexpensive condenser mic. No hassle install on windows 10. Never had a single glitch. A laptop, a pair of nice powered monitors and this DAC. Instant audiophile system. This does exactly what it says. Converts XLR to USB. It also gives you RCA outs and an additional line in. It also provides +48 volts for phantom powered mics. 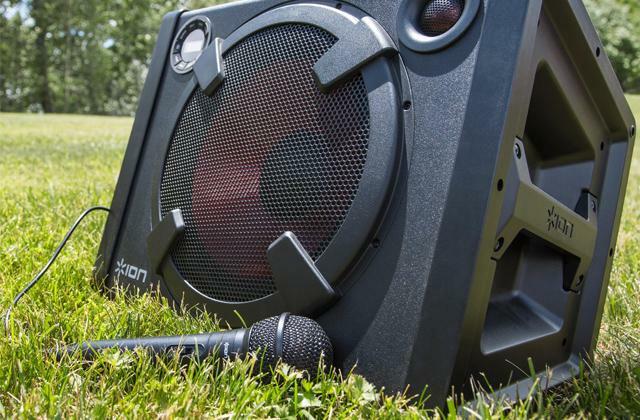 Its impressive for its compact design and light weight enough to take with you any where if you're a college student or someone who travels often and needs a portable setup. 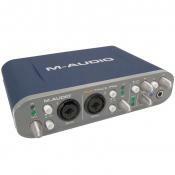 If to concern ourselves with finding an audio interface definition, in general, we arrive at a portable digital device, which is designed mainly to receive, process and convert analog stereo or mono audio signals to digital ones and connects to a PC or a laptop. In other words, you can use an audio interface for a PC to digitalize your solo rendition of a guitar or vocal section or even a performance of a whole band. The digitalization process is fully controlled from your PC, laptop or other mobile device connected to your audio interface USB port. Most modern devices of this type are audio interfaces with a USB input to provide their wide compatibility with control devices. What is more important, you can hear the resulting recording by outputting the processed signals to a set of headphones, an amp with a speaker system or a digital receiver connected. That is why the best audio interfaces are equipped not only with and ADC (analog-to-digital converter) and relevant circuitry but also with a DAC (digital-to-analog converter) to enable a parallel sound output to analog signal receivers for monitoring your recording performance. 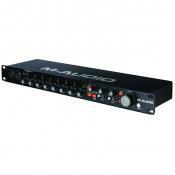 Best professional audio interfaces feature multiple input and output digital and analog options. For those who like to enjoy a good sound but needs to use compact solutions, we recommend considering soundbars, which are perfect for home, big room or small studio use and serve as an excellent addition to the bundled acoustic systems of 3D & smart TVs. These devices in combination provide stunning visual and sound experience for you and your family or friends. When it comes to describing the criteria of how to choose an audio interface, we recommend considering maximum bit depth and sampling rate supported by the interface for analog-to-digital conversion and recording. The maximum bit depth supported by an ADC and a digital interface defines the maximum number of volume increments of an input signal, thus, the precision, in which an original analog signal is digitalized, processed and reproduced. For example, a 16-bit ADC can record an input analog signal converting it a digital one preserving any signal volume alterations to a precision of approximately 255 (calculated as 2 raised to the power of bit depth, or 216=256) steps. As for the sampling rate, it determines the periodicity, with which the input signal is sampled or taken for digitalization. In essence, the sampling rate determines the width of a frequency band, in which your portable audio interface preserves the sound information of the input analog signal (with a real frequency band preserved being the sampling rate divided by two, so for the 96 kHz sampling rate a 0-48 kHz range info is preserved). The common practice shows that the higher the bit rate and sampling rate supported by your interface for recording sound performances the better. With that, the widely adopted studio standard is 24 bit 192 kHz and the vast majority of audio equipment is capable of working with such files with no downsampling. Thus, you need to evaluate the parameters of your musical instruments, microphones and other analog signal sources to choose a recording interface with optimal bit depth and sampling rate. 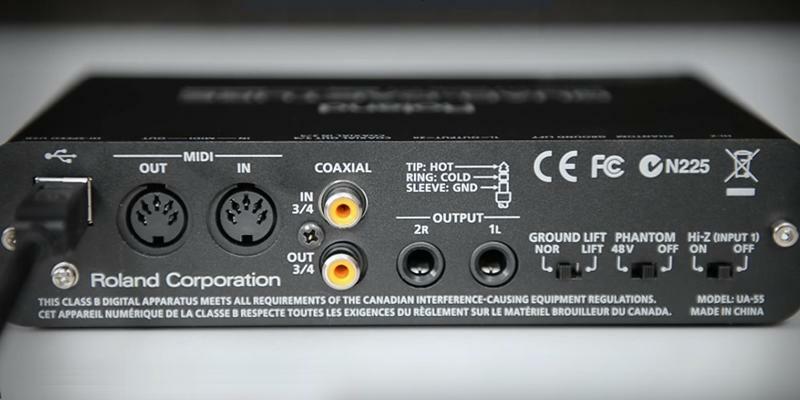 The types of connectivity interfaces available and a number of inputs/outputs are of great importance for choosing the audio interface that meets your requirements. Many audio interfaces offer digital inputs along with analog ones and can be used as external sound cards for a sound playback. However, the availability of analog inputs is much more important for musicians, sound engineers or audio enthusiasts as these inputs allow them to capture the sound from musical instruments or audio mixing consoles on the spot, process it and digitalize with the parameters they consider best. 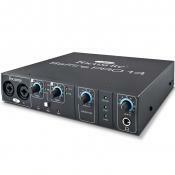 Thus, the more inputs your home studio audio interface supports the more vocal or musical instrument sections you can record and mix at once from the connected microphones or directly from the instruments’ outputs. 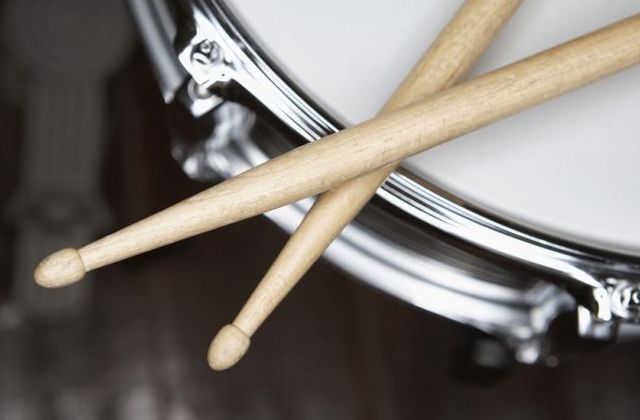 Alternatively, you can use multiple microphones to record a drum set section with greater precision and flexibility. Many entry-level audio interfaces draw the power from a USB connection when connected to your PC or laptop. The best professional audio interfaces are another case: they offer multiple ins/outs, including mic inputs and so-called balanced or XLR inputs, that is why they need more power than a USB interface can provide for their complex circuitry and phantom power supply for the connected mics. For this reason, advanced audio interfaces are usually equipped with a dedicated power supply, which can be implemented as an external or internal PSU with a cord and a power socket plug. This aspect also needs to be kept in mind when doing an audio interface comparison and choosing the one that suits you best. Q: What is an audio interface? A: An audio interface is an external device designed mainly for converting input analog sound signals to digital output signals allowing for the control over the process from a connected host device (PC, laptop, tablet PC or a smartphone) with a specialized audio software installed. 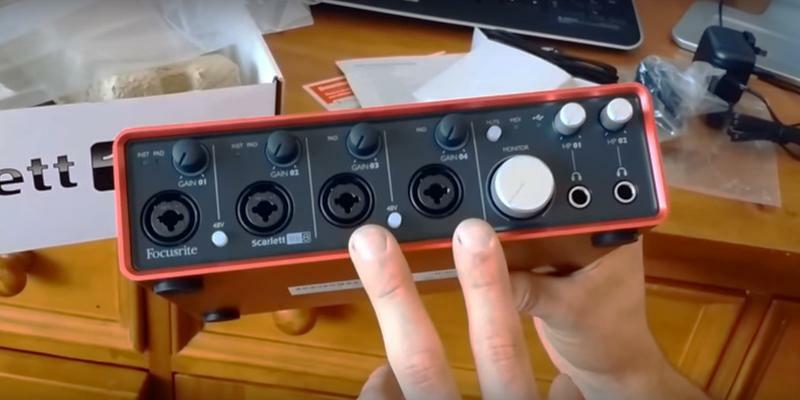 Thus, you can use such a device for connecting your musical instrument/instruments, microphone/microphones or analog signal sources to capture and digitalize the sound from them. For this purpose, audio interfaces are equipped with an ADC (analog-to-digital converter) chip with peripheral circuitry and at least one digital port for connecting to a PC or another host device. Many interface models provide line and headphone analog outputs to allow you to monitor the recording process and musical performance. Depending on its class and model, interfaces are made as a compact portable module in a plastic or metal case, as a rule, of rectangular shape or a big and heavy rack for installing in studios. 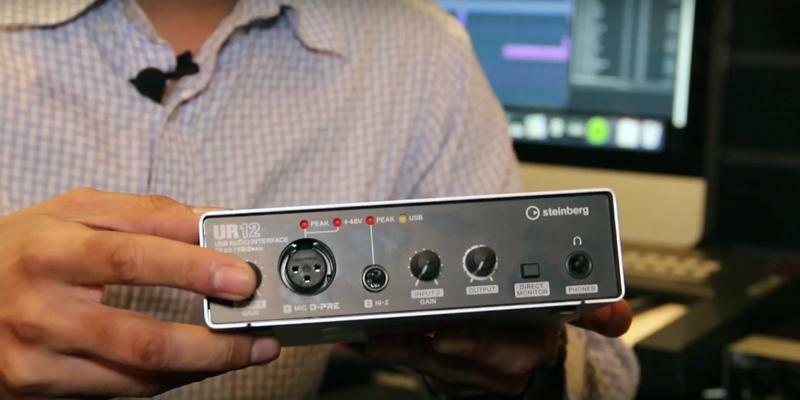 Q: What features should I look to in an audio interface? A: It depends on the purpose you are going to use the interface for. If have a home or small studio and just want to do some vocals or musical instrument recording then even an entry-level model of an audio interface with basic functionality will suffice. 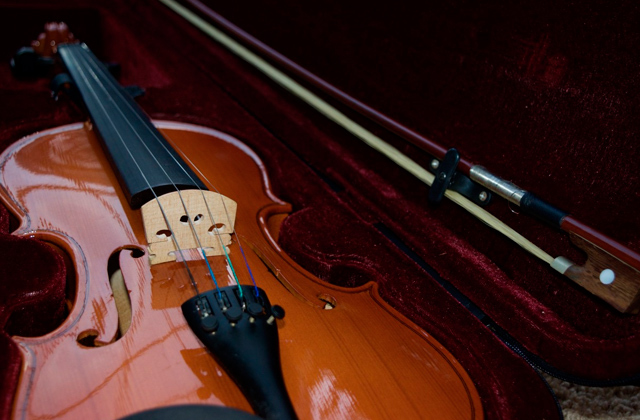 Just plug your musical instrument in the interface, connect the device to your PC and start playing. However, if you need to add some effects to the original sound in real time or need to capture the sound from multiple instruments or microphones simultaneously you will have to consider a model with richer functionality and more inputs. To enable you to fully control the recording from multiple sources while adding effects some advanced interfaces come with a DAC (digital-to-analog converter) and DSP chips along with an ADC. DAC and DSP availability makes it possible to get an analog signal from the interface with all the effects applied. Q: What do the audio interface ADC and DAC specifications mean? A: Actually, the specified parameters for ADC and DAC mean the same. Thus, a 24 bit sound support for an ADC on your audio interface means that it can convert analog audio to digital audio with a 24-bit precision, while the same bit depth support for a DAC means it can convert digital signals to analog sound with the same signal amplitude (volume) precision. The same is true for a sampling rate support for ADCs and DACs. Q: What is the difference between audio interfaces? A: Though all audio interfaces have the same principle of operation, they can feature additional components (DAC, DSP, controls) to provide a wider functionality and offer a different number of inputs and outputs. Q: What types of inputs audio interfaces have? A: Most of the interfaces for recording the sound are equipped with RCA (unbalanced), XLR (balanced) and microphone inputs. While RCA and XLR inputs are designed for capturing line-in level signals (with about 1V RMS voltage) these inputs may be equipped with preamplifiers to enable working with weaker signals. With that, all microphone inputs on audio interfaces come with a preamplifier and usually can supply a phantom power to a connected microphone for its operation. 1. Audio Interface Buying Guide, The HUB. April 26, 2016. 2. Audio Interface Buying Guide, Sweetwater. 3. Mitch Gallagher Choosing An Audio Interface, Premier Guitar. April 6, 2012. 4. Mike Elliott How to Choose an Audio Interface, Envato Tuts+. April 9, 2014. 5. The Ultimate Guide to Audio Interfaces for 2017 E-HOME RECORDING STUDIO. 6. Joe Shambro How to Select an Audio Recording Interface, ThoughtCo. November 15, 2016.